Our mission is to offer appearance management solutions to complement your flight department by delivering exceptional aviation services. AvidJet is a full service mobile aircraft detailing business with over 16 years of aviation experience. 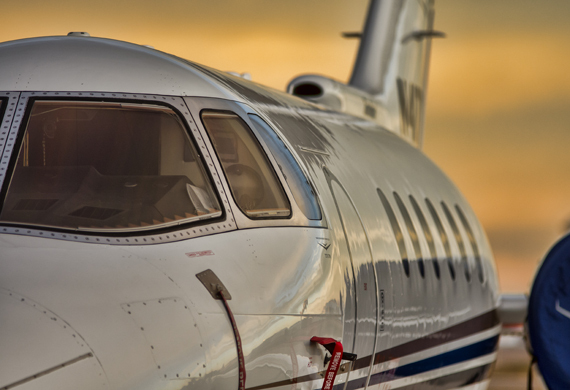 From Single-Engine private aircraft to Full-Size commercial Jets, the professionals at AvidJet are here to provide you with unparalleled detailing services. Whether your aircraft needs a quick touch up or your flight department requires specialized services, AvidJet has you covered. Let us take care of the dirty work. Timing is everything. Conveniently located at Centennial Airport KAPA and Ft. Myers FMY, our team is available 24 hours a day with access to numerous airports throughout Colorado and Florida. AvidJet offers a variety of aircraft detailing services oriented to all makes, models, and fleet sizes of corporate, private, and commercial aircraft. We pride ourselves on our passion for quality and timely results on the ground, aiding you in obtaining the best results in the air. Striving to make your flying experience "Worry-Free"
My first experience with AvidJet was all I needed. Their experience and attention to detail was apparent in their quality of work. Couldn't be more pleased! AvidJet has been a concierge-style business for myself and my partners, allowing us to accommodate to our customers in the most convenient way possible. WOW what a fantastic job they did. Thank you so much. WOW FACTOR. And I'm hard to please. LOVE THEIR WORK. © 2018 AvidJet. All rights reserved.